I really enjoy putting my reviews together. I honestly wish I could delve deeper into certain movies, but alas, I get incredibly busy and can sometimes only deal with movies to a briefer extent than I would prefer. This is why I write these occasional "Brief Thoughts" posts on movies I have seen, as I want to at least offer some of my own perspective on them. They may not be as polished, but I can at least get my opinions out there. This edition of "Brief Thoughts" features reviews for First Reformed, Won't You Be My Neighbor, Hearts Beat Loud and Upgrade. While Paul Schrader is primarily known for writing Martin Scorsese's Taxi Driver and Raging Bull, along with one of my personal favorites - Bringing out the Dead, he's an accomplished director in his own right. Now, Schrader is back with his best film since Auto Focus, and it features what may be a career-best performance from the always game Ethan Hawke. 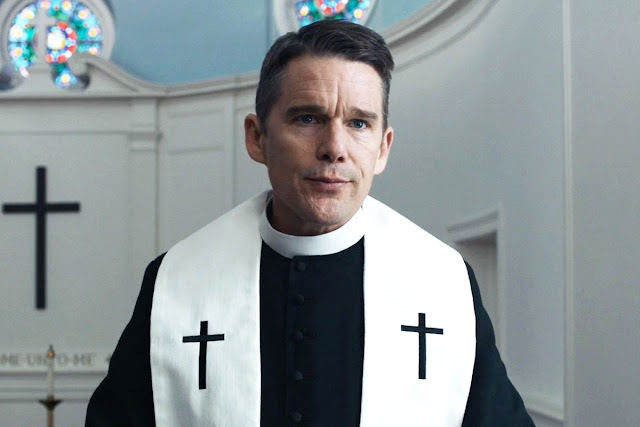 Hawke stars as Toller, a priest of a small congregation at a church nearing its 250th anniversary. Toller is dealing with personal turmoil and slowly degrading inside. To better get a handle on his state of mind, he begins detailing his days in a journal, while imbibing more than needed. 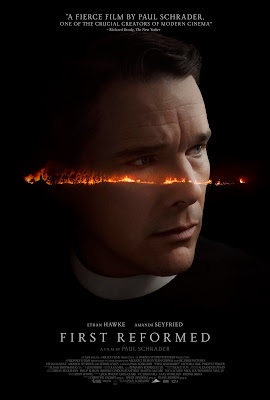 His attempts to help the husband of Amanda Seyfried's Mary backfire, but also inspire Toller to delve further into what sort of challenges he sees God's earth facing. Made with a deliberate intimate style (the film is locked in a 4:3 ratio and the camera mostly remains static), it's the internal struggle that informs Hawke's performance in a way makes First Reformed one of the more weighty portrayals of the life of a man tackling his faith in recent years. It's not so much about questioning his own stance on God, but instead asking what those around him are doing. And yet, the film is also not preaching to the audience. 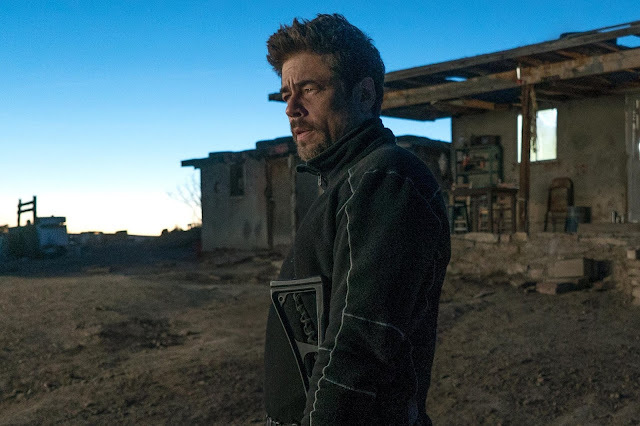 It's a character drama, with plenty on its mind and stylishly handled in a manner that feels like Schrader was happy to challenge himself. For every reference made to older Bergman films, we get a sense that Schrader was also excited to take in inspiration from this modern generation as well. The result is an impressive feature full of societal commentary, self-reflective ideas from Schrader, and a presentation that evokes classics made possible by his own writing from the past and others we still look up to. Following up his Oscar-winning documentary 20 Feet From Stardom, director Morgan Neville is back with a film guaranteed to make many cry. The thing is, this is not a sad film, but one that reflects a level of innocence that would be great to see return in a big way these days. 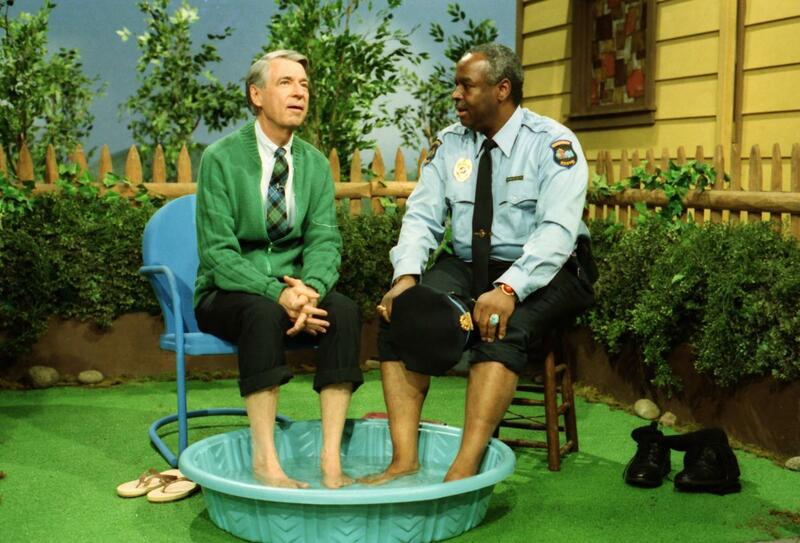 Won't You Be My Neighbor is a documentary focused on the life and philosophy of Fred Rogers, host and creator of Mister Rogers' Neighborhood. To be clear, this documentary is not a biography of the man, but a focused look at what he wanted to accomplish, with insight from the many people who knew and worked with him. 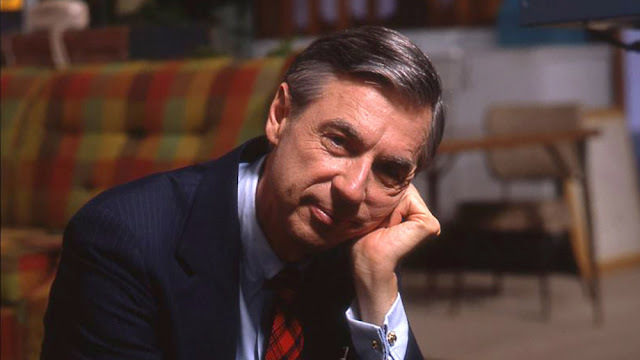 We get to see interviews with Fred Rogers' wife and sons, along with multiple people who worked and starred on the show, along with some of his friends, including Yo-Yo Ma. All of them provide plenty of insight, and the most significant thing may be the knowledge that Mr. Rogers was precisely the man he portrayed himself as on TV. Thanks to the interviews and a wide variety of archival footage, the film provides an intimate and moving look at the career of Mr. Rogers and how he helped shape the times through his display of innocence and care for the youth of the nation. Watching the classic scene of Rogers going up against the Senate to fight for funding to essentially keep education for children available on the air is as fantastic as ever, but there are plenty of beautiful moments to take away from all that is presented, even if some of the latter portions of the film focused on the hurtful views some divisions had on what were truly amazing accomplishments. Not hurting is the idea that Rogers was very much a human who had his doubts, as well as a sense of humor about things. None of this betrays what kind of person he was, but seeing a man with such reverence is all the better for a film that could really use help in making such an impressive figure seem more relatable. Of course, if you're overcome with tears because of all the goodness on display, it only matters so much. 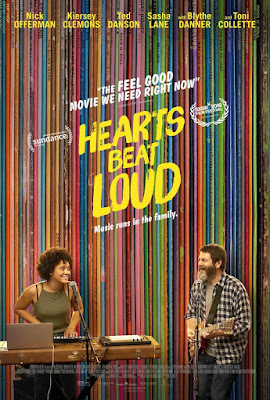 Arriving in theaters a few months after getting high praise at the Sundance Film Festival, Brett Haley's Hearts Beat Loud is here to present an inspiring father-daughter story that rocks. Between the likable lead performances and wonderful musical backing, here's a film that can easily find anyone moving along with the film's beat. 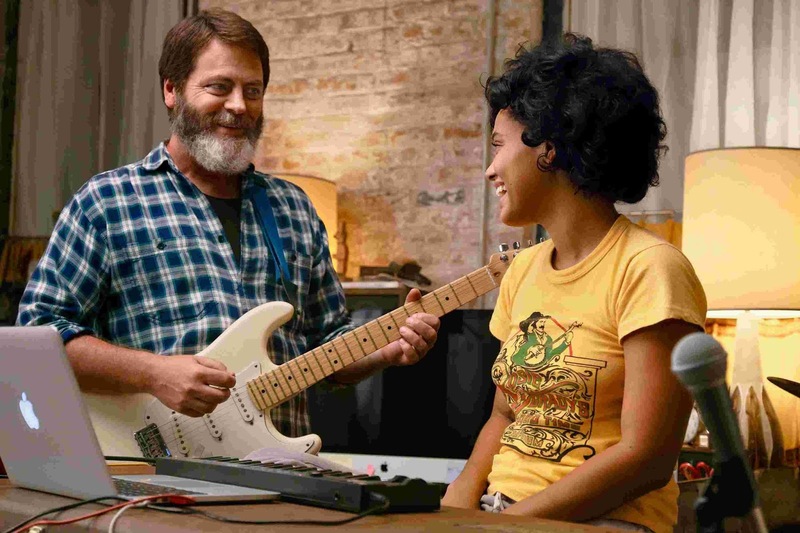 Nick Offerman stars as Frank, the owner of a record store in Red Hook, New York. His business isn't what it used to be and may be about to close. Kiersey Clemons plays Frank's daughter, Sam, who is set to go off to college for med school after the summer. Before all that though, Frank and Sam continue to do what they love, which is jam out together. Sam may be too busy to keep it up these days, but their latest session leads to recording a single that could change everything for them. Thanks to the film's unassuming energy and the strength of the relationship between Offerman and Clemons, it is hard to resist this film's charm. More profound messages aren't hit at in any distracting way, as this is merely a human comedy-drama that wants to tell a sweet story. A supporting cast made up of Toni Collette, Ted Danson, Blythe Danner, and American Honey's Sasha Lane only help keep up the film's pure intentions. The music is great as well. Keegan DeWitt's score and written tunes certainly help create a vibe that makes you believe in the band Frank and Sam inadvertently form. 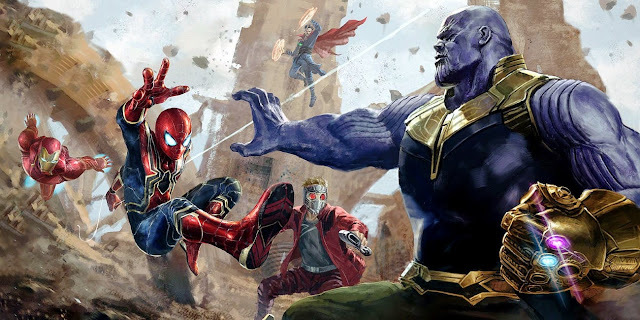 That sort of authenticity goes a long way when it comes to having an audience stand behind the music this film needs for it to work as well as it does. 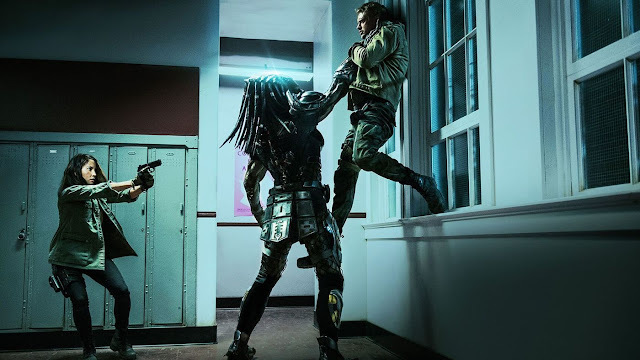 Major studios can continue to chase after The Crow, RoboCop, or whatever other previously established IP in an attempt to force lightning to strike twice, but Upgrade is the perfect example of how to reference and adequately rip-off beloved films and film concepts for the sake of an original feature. 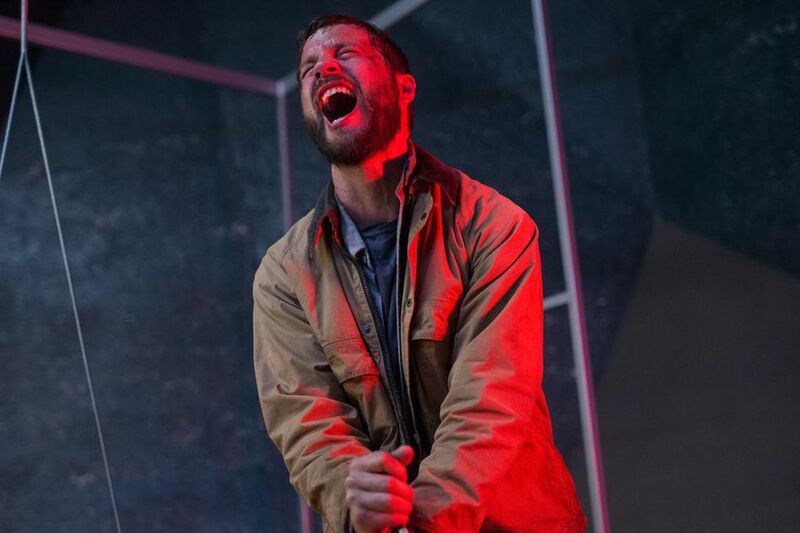 Much like how Insidious worked better than the Poltergeist remake, Upgrade finds Insidious co-writer Leigh Whannell right in the sweet spot of what it takes to make a solid sci-fi/action flick. 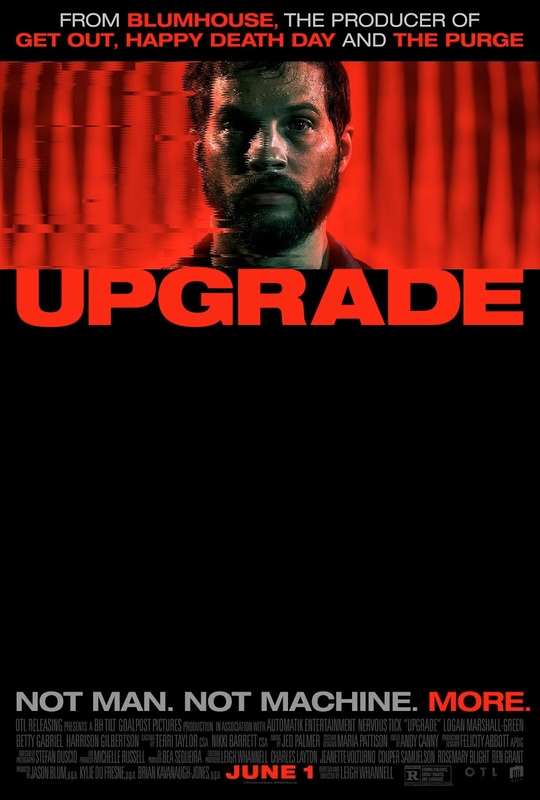 Working through Blumhouse Tilt, Upgrade is a minimally-budgeted B-movie that has all the energy and strengths of what we should desire in a big studio blockbuster. 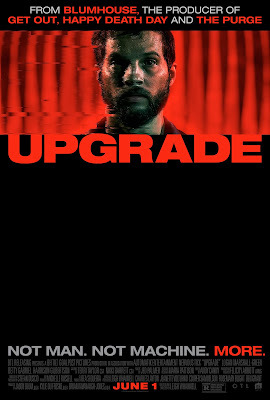 Logan Marshall-Green stars as Grey, a typical dude living in the not-too-distant future who suffers a trauma. Left as a paralyzed widow, he is brought in by a tech genius to be implanted with a chip that will give him the ability to walk again. STEM does just that, but also improves Grey's skills all-around, which proves to be helpful (and dangerous), as attempts are made at getting revenge. The story has enough going on to have you care about Grey and even consider the ideas revolving around our current world's reliance on technology. Still, it ultimately only matters so much in comparison to the level of style Whannell's direction brings to the proceedings. 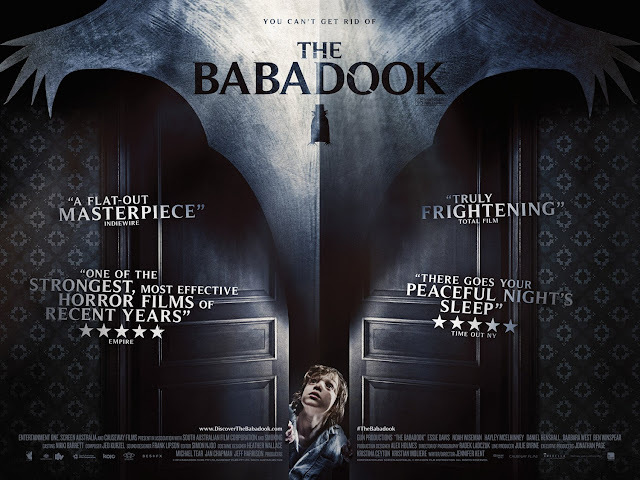 Taking a page from his former partner-in-crime James Wan, Whannell has a lot of fun creating slick action and messing around with the camera in general. Blending physical comedy with body horror makes for an exciting perspective on clever action sequences and Marshall-Green is more than up to the challenge. 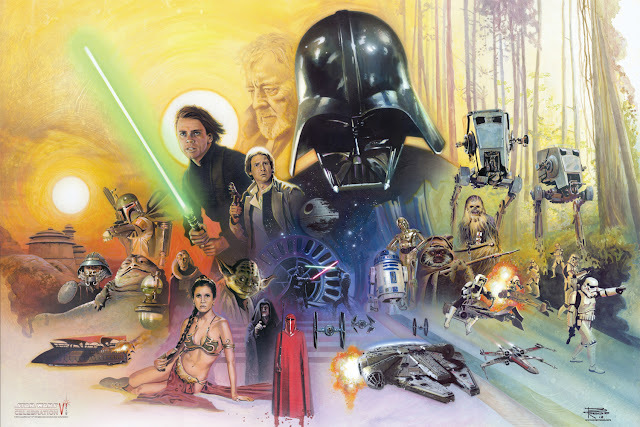 Despite its grunginess, the film looks great. Some Argento-like coloring makes the underworld look fun enough to be in for this 90-minute thrill ride. Whatever ridiculousness comes about from the premise is only enhanced by the communication between Grey and STEM. Even the ending feels like an appropriate finish that somewhat defies expectation. In a summer of huge movies, this little genre action/thriller is plenty satisfying.